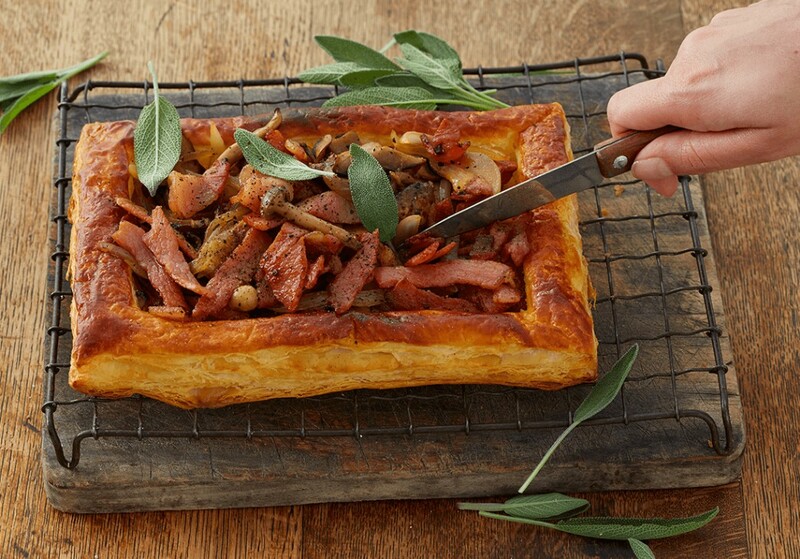 Combine the earthy goodness of mushrooms with the smoky taste of bacon for a tasty tart that will impress family and friends. Roll the puff pastry into a rectangle and brush with the whisked egg. Line a greased baking tray with the pastry and bake blind until golden brown (± 25-30 minutes). Fry the bacon in a medium skillet over a medium heat, until crisp, and transfer to a paper towel. Fry the onion, then add the garlic and the mushrooms. Stir in the bacon. Scatter over the pre-baked crust and top with sage.